Twilight's return to Ponyville after her near fatal stay on Earth goes less than smoothly. The Black Knight moves for no man . . . or pony. Ever wonder what happened to the first Heide Knight in Dark Souls 2? No? Well too bad, you're going to find out anyway. TSometimes, there are truths inside of myths. Equestria is in danger from an old threat. But will the discovery of an ancient ally be enough to aid them in their time of need? Ganon has now come to Equestria. And as Vaati and the Mane 6 race to stop him, an even greater evil plots from the shadows. Villains aren't created overnight. Luna knows this better than most. Many Guardians have been blessed with the Light. A single one wasn't native to Earth. Isolated from her friends and taken prisoner in the middle of a war, Twilight must deal with the very real dangers of being percieved as an enemy as well as the nightmares of her arrival on 'Earth'. Can she overcome her own fears and the fears of her captors? Will the wayward unicorn's assistance be a boon or a curse to the 'humans?' Most importantly, will she ever find her way home? "In short, it's a story of friendship and plasma rifles, with the emphasis on the friendship. The characters are well written, the XCOM setting is fleshed out very well, and the story is compelling. If you love XCOM, you'll love the story, but even if you've never heard of it, it's more than worth giving the first 3 chapters a read. There's excellent action later on, but the real strength lies in the collision between the friendly and naive world of Twilight Sparkle and the desperate world of humans fighting a losing war for survival and willing to do anything to turn the tide." Love it Great pacing and little to no errors, great job. but with a good twist. You my friend have earned a thumbs up. Well now, it sure fills my heart to hear folks enjoyed the first chapter. Folks can expect to see chapter two within the next week or so. Currently reviewing it now. It must be quadruple checked before I am satisfied. What?! It wasn't "Twilight mess up a spell and ends up in middle of a human/alien battle"?! You're legally required to do that cliche, sir! I hope you plan on a language barrier at first. It really tends to improve fic quality it seems; probably by forcing you to consider more carefully how alien the two races are to each other and to avoid instant-friends-syndrome with the human protagonists. 2519499 Yeah, no one dares to mess with formula! Twilight being attacked and killing a Chryssalid could be taken fifty fifty by the X-COM people. While it could mean that she isn't with the aliens because the Chryssalid attacked her, considering the nature of the Chryssalid's it isn't that hard to see them attacking other aliens when other prey runs out. They do seem kind of insane. That is actually one of my primary concerns when writing this fic. Reading other crossover fics where things go from 'oh hey, a pony!' to 'lets be friends!' almost instantly is a little painful. The ones that add a bit of tension not only in the first meeting but also the first few chapters are my favorites. Article 2 and Lone Ranger are two of my favorite fics because of this. In regards to the language barrier, I have plans for that. Mhm, yes indeed. Sounds good. Not enough quality crossovers out there in my opinion. Heh, Twilight's never getting home. 2522206 Kind of reminds you of that other fic, doesn't it? Which fic would that be? 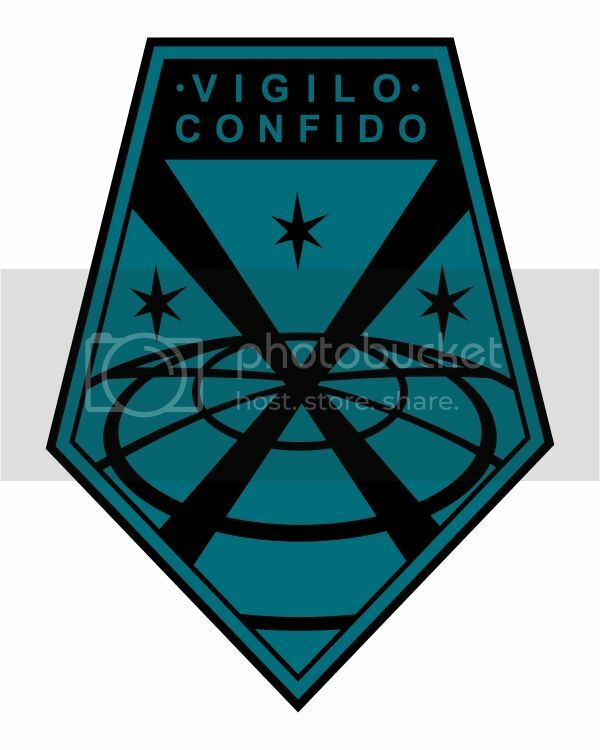 XCOM related or something else? 2522391 This XCOM fic called "Research Project: Sparkle" where Twilight ends up on Earth after XCOM repelled the alien invasion. They detect her transportation to Earth, they send Strike-One after her, they get in a thirty second fight, and they capture her. Oh, I know that one! I was initially concerned that there would be some plot conflict since the starting concept was so similar, but after reading RP:S so far, I am extremely confident that our two stories will go in two entirely different directions. Of course, then there's Equestria Unknown, which does an excellent job of illustrating how XCOM -really- is. 2523574 Read the comments below you. YES, ALL OF MY YES! This is absoultly sublime. Perfect I love it. More MOAR ! Shut up and take my money. An excellent chapter, I can't think of any glaring mistakes you've made, so that means you must be doing something right! I eagerly anticipate the next chapter, until then, have some moustaches. Hm, that contact scenario between Shen and Twilights seemed king of... weird. Ah, whatever, good job anyway. Now we're getting down to buisness! You my friend make X-com proud. I would dare to say that if I wore hats i would tip it to the better writer for you sir have some great skills that i hope you continue to cultivate and nurture. I shall watch this. I haven't seen enough to fave, but I'm an old school X-COM fan, so I take anything from the new game with a grain of salt. Pacing is fairly good and there were no errors that leaped out at me. This story is shaping up to be fantastic. I always like it when, in scenarios like that, the humans (or whatever) are a shade of grey rather than being black or white in their actions and motivations. Its nice I'll give it that but questions have to be answered in order to understand a lot of the choices taken in this. 1) Why use a volunteer when a S.H.I.V could have been used? And if it hasn't been researched then why use a engineer to handle the alien? Why not a soldier? 2) Why is xcom's commander not taking more precautions? X-COM's first encounter with the aliens was with one that processed mind control so any slight trust that they might gain with Twilight has to be severely scrutinized by everyone present. So when the engineer said the lines "we give her what she wants". It really doesn't matter how childish the request is, that line doesn't come off as non-suspicious. 3) Why is Twilight acting like she has ADHD? One second its I'm trapped in an unknown location away from home and family surrounded by aliens and the next its Oh a ball point pen! I know she tends to go off in her own little mind when stressed but she understands priorities. Overall its an okay fic, kinda never like that translation spell stuff but I will roll with it for now. Just take care how you characterise these people like Dr. Vahlen. She may not look it in the game but she is a psychopath her torture techniques are taken so nonchalant by her that's its scary. Otherwise I will be watching this fic, do xcom proud. Good morning folks! Glad to see my work has been enjoyed so far. The next chapter will take a bit more time even though it's length is somewhat shorter. Work has actually begun on the chapter after next, and I prefer to keep a one-chapter lead on my releases. Average chapter length is expected to be between 4000 to 8000 words, with intermission chapters varying in length. To everyone who has commented, favorited and watched me thus far, thanks for your support! First, thank you for reading! I'll address your questions as best I can without spoiling my reasons. Long answer, Bradford always gave me the feeling of a 'gut' commander. If an atypical situation presents itself with an equally atypical solution, he'll attempt that solution before falling back on the 'everything is solved with lead' paradigm. As for why Shen? That actually was inspired by some of my dad's old army stories. Whenever one of the grunts sugguested a 'clever' idea to the CO, guess who had to try it? In addition, Shen was about the only person in the room who looked willing to go into Containment to make the attempt. I suppose I could have taken a moment to describe the scientists' reactions to the idea but it felt unneeded after Vahlen's reaction. I hope this answers your first question! 3.) Twilight's behavior -- I had hoped my writing would be up to snuff to hint at what is going through her mind without explicitly stating it, but it seems I was wrong. Twilight has been removed from her comfortable little life and thrown somewhere she is not familiar with, and she killed another being within five minutes of her arrival. She next wakes up in a jar to be dissected, which she narrowly escapes. To say she's out of her element is an understatement, and the only way she can cope is to find things she can relate to, something she considers familiar or comforting. If she were home that would be a book or friends. In XCOM, she has neither. 4.) Translation spells -- These are specifically limited, it doesn't allow Twilight to understand everyone, and doesn't allow everyone to understand her. With the concerns of brain invasion being extremely justified, it would be a safe assumption that not everyone would be so willing to have it done to them. 5.) Vahlen, mad scientist -- YES. I am so glad I wasn't the only one who was a little uncomfortable with Vahlen's 'enhanced interrogations' in the game. I am keeping that in mind when writing for her, every time I write a line of dialog for her, I imagine she's thinking of the most expedient way to get Twilight on the dissection table. Glad to see my issues addressed. With the Shen vs SHIV I can understand that more clearly now. Basicly the universal rule that the first person to mention it is the first to do it. With mind control, you are right that it is a very physically noticeable thing, with the eyes glowing and speech acting weird, but since this would be so early in the invasion, I guessing 2-3 months in, they would be on high alert for anything unusual. So believing in a different version of mind control isn't that far fetched for them. Twilights concern over the little things when the big things are all around her could come off better in the fic if some exploration into how its a calming mechanism was made. But then again she could always do that breathing technique Princess Cadence taught her. If any of the characters with faces from xcom are to be the least trusting to Twilight it would be her. Only one word is needed to express my reaction: YES! And I am -extremely- thankful for your constructive criticism! Constructive criticism is something I can work with to improve my writing and make a better story. As an author I live in fear of a comment like, "THIS IS BAD AND YOU SHOULD FEEL BAD!" What happens to Shen immediately after this entry will be described in the following chapters. Vahlen and a rubber glove may be involved. She was promised a good probing and since Twilight is out of bounds, then Shen will just -have- to do. In regards to Twilight coping, that is actually going to be a recurring theme and will come up repeatedly and expanded upon. In summary, I'm glad to see we're on the same page. If you (or anyone else!) have feedback or questions, fire at will! I'll do my best to elaborate without spoiling things. Very well done so far. Other x-com crossovers I've seen either have too many errors that its unreadable, or the story was weak. Glad to see this fic doesn't have that problem. In addition, i am very pleased about Shen being the one to make first contact with Twilight. Not so much just because its Shen, but that a leader who offers up a crazy idea of a more sociable first contact like that and then orders a private who is more far less tactful take the risk is a poor commander in my book. And Shen isn't even a soldier. Does that mean all crazy ideas put forth by the commander should be done by him? Of course not, but this was one of the ones that needed a more diplomatic mindset than an infantryman. Thanks for stopping by, LAP! Shen was actually a deliberate choice for me. I always got the impression that he had always had a dream of peaceful first contact with ETs and every mission just crushed that dream a little more thoroughly as the monstrous nature of the invaders was made apparent. He is, IMHO, the opposite of Vahlen. Now to play through Xcom again. This. This pleases me. I am, however, withholding my thumb-rating until this either finishes or I get a good enough idea of whether or not I'll read the rest. That said, have a fave! I'm really liking this! Here's hoping more's coming! Brilliant start, it locked me in one place, only issue for now, it's not finished yet, I hoping for this story be finished and grew more as time goes on. And i just love one specific part, when they go over Twi telekinetic power and the assumptions of how powerful she is. Shen, def a figure i'll love but be interesting to see how the other cast comes around. I have longed for a strong, well-written and serious X-com crossover, but the few I did see were quickly abandoned. Please don't make this story go the way of the dinosaur, there's many directions this story could go and few realise how versatile an X-Com story. I hope to earn that thumbs up! And I enjoy writing for Shen, and giving him a bit more depth than the games provided. Have no fear! I have the majority of this plot all layed out in my head, just have to find the time to get from start to finish. I've been trying to find or make my own type of adaptation of this story type for sooooooo long! Thank you, please write more. What... what happens if we give Twilight Psi Armor? + Psi Armor = ?